I've been trying, for nearly a week now, to upload video of J's graduation so I can share it with family and friends. Hubby bought me new software so that I could edit it, etc. But it seems that software now comes in a DVD format, and my computer does not have a DVD drive, so we installed it on his laptop instead. No big deal, right? Right. So I go to connect the camera to his laptop, and imagine my frustration when the camera drivers weren't compatible with Windows Vista! Can't anything just be simple? Seriously. I'm going to look around and see if there are any updated drivers available, and if not I'm probably just going to go and get a DVD drive for this computer. It seems I need one anyway if I intend to keep up with modern technology. I took J-man to the doctor today to have a follow-up strep test, which revealed that he is, indeed, a carrier. No big surprise there, right? He's had strep 4 times since February! The course of action for now is Clindamycin for 10 days, and that's supposed to knock it out of there. We'll go back to the doctor in 2 weeks and have him re-tested. If he's still positive then the next step is a tonsillectomy. There's something so unsettling about considering any sort of surgery for your baby. Yes, I know that a surgeon can probably perform the procedure with his eyes closed and one hand tied behind his back, but still... it's surgery, and it's my baby, and it rattles me. I also talked with his doctor about his motor skills, the testing we're going through with the school board, and what her opinion was about it. She's referring us to a neurologist for evaluation, and lightly mentioned that there's a possibility that he has a defect in his corpus callosum, which is the band of tissue that joins the two hemispheres together. Sounds scary, but she assures me that it's really not a big deal and that with some special services, he'll be able to do fine in school and life. So, the proper paperwork has been submitted to the insurance company for the referral, and I'll be calling next week to get an appointment with the neurologist. They'll most likely schedule an MRI. Yikes! "Signs and symptoms of ACC and other callosal disorders vary greatly among individuals. However, some characteristics common in individuals with callosal disorders include vision impairments, low muscle tone (hypotonia), poor motor coordination, delays in motor milestones such as sitting and walking, low perception of pain, delayed toilet training, and chewing and swallowing difficulties. Laboratory research has demonstrated that individuals with ACC have difficulty transferring more complex information from one hemisphere to the other. They also have been shown to have some cognitive disabilities (difficulty in complex problem solving) and social difficulties (missing subtle social cues), even when their Intelligence Quotient is normal." Umm, yeah, so if a paragraph could be written to sum up J-man, that's probably it. Scratch the vision impairment, though. As far as we can all tell, his eyes work fine. In the meantime I'm supposed to go through and gather as much info as I can for the neurologist-- things like when he reached milestones like sitting, walking, talking and also any significant family history of abnormalities. Umm, yeah, it could be a long list! :) All joking aside, I've got a lot to process and try not to worry incessantly over. 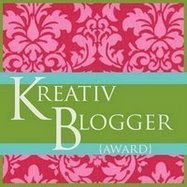 My dear friend, Myth Maker bestowed upon me a Kreativ Blogger Award today. Despite my lack of posting lately, I really have been a creative person! Swear. So, what I'm supposed to do is list 7 of my favorite things, and then pass the award on to 7 other bloggers. Here we go! 1. Being Jonas' mommy. Every day with him is a whole new adventure, and he never fails to amaze me. Whether we're just cuddled up on the couch reading the same book for the 10th time that day, or we're making a mess in the kitchen together, I'm overjoyed to have him with me. 2. Hubby. I may not always give him a fair shake, but I truly wouldn't change a thing about him. The past 10 (it really doesn't feel like that long! 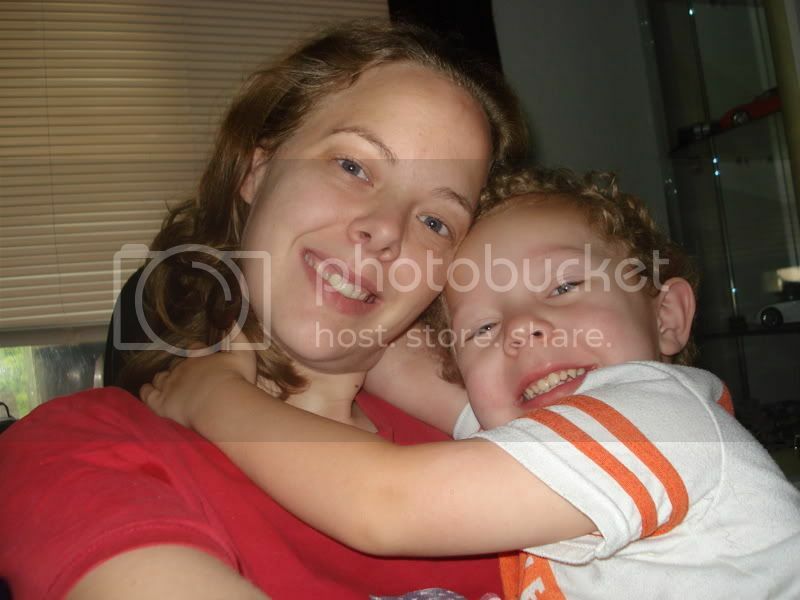 )years have been wonderful, and I love the way we've grown and changed together through all that time. We keep each other grounded and focused, but also allow each other the room to dream. 3. Knitting & Crochet. What more is there to say? There's nothing as relaxing as an hour or two with a ball of yarn in my lap and needles clicking away. 4. Spinning. I'm still in the newbie phase, but I'm loving my wheel more every day. 5. My garden. It ain't much to look at, but that tiny little plot does more than simply grow vegetables. It holds onto the memory of my Daddy Dean, and weekends and summer days spent among rows and rows of tomatoes, beans, watermelons, and the like as a child. Every moment I spend out there pulling weeds, watering, and otherwise tending to it is a moment spent with him. 6. My pets. There's nothing better than a warm kitty in your lap, or a fuzzy dog at your feet. Mo's been my constant companion for 13 years now. I only hope that I can take care of her as well in her senior years as she did me in my younger ones. 7. My friends. I don't need to list you by name. You know who you are, and hopefully you also know how much you are loved. Ok, so now to pass it on. 1. Michele, who hasn't blogged in a while, but I'm hoping I can tempt her back. 2. My super-crafty SIL, Amanda. 3. Tracy, mom of many, knitter extraordinaire, and all around amazing lady! 4. Erin. No explanation needed. She just plain rocks, and is one of the greatest poets ever. No BS. 5. Amy. Yet another amazing knitter and really cool chick. 6. Mikey. A deep thinker with a knack for photograpy, art, music,poetry and humor. 7.The Blue Yonder Gang. Ok, so they're not personal friends or anything, but I visit this blog daily, and always walk away feeling uplifted and inspired.